How do you know if a medicine is helping you or hurting you? When can you stop a medicine you are taking? What are “safe” medicines and “high risk” medicines? Dr. Allen is a family physician who has worked in VT for more than 30 years, with a long-time focus on care of elderly people, especially at home and in long term care settings. He has worked with Mt. Ascutney Hospital, helping develop an outreach practice to local LTC facilities, and now works with DHMC Community Geriatric Practice. Visitors are invited to tour the newly opened expansion of The Village, where we have added 20 Independent and Assisted Living Apartments and a State-of-the-Art 20-bed Memory Care Center. Village and Cedar Hill staff will be available to provide additional information. 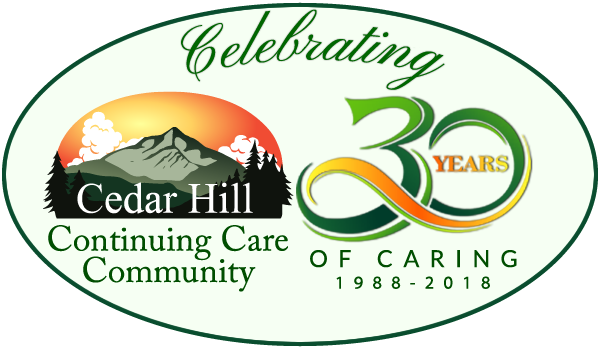 The Village at Cedar Hill Speaker Series will continue in 2016, with a presentation on Beating the Winter Blues on January 19.